Fructose is a sugar found in fruit among other things, and is often recommended for diabetics because it has a very low glycemic index (GI). 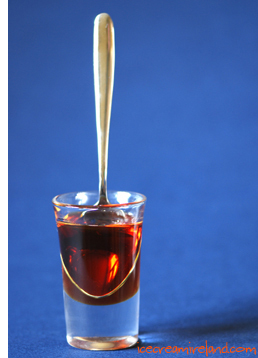 It is three times sweeter than normal sugar (sucrose) and has a slightly different taste – a little fruity or acidic. 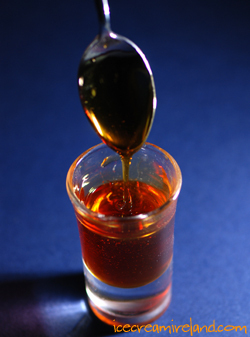 I must say that there is mixed research on the health benefits of fructose. In fact, there are those who consider it quite unhealthy. Perhaps it’s like many things – use it in moderation. What I do know for sure is that fructose can be caramelised. I’ve been playing around with it, and it makes an extraordinarily beautiful and tasty caramel sauce. It’s very, very sweet, so definitely use very small amounts of it, especially if you’re diabetic!!! Put the fructose in a saucepan and shake it so it’s evenly dispersed. PourÂ 50ml of the apple juice over it and cook over medium heat. When it starts to brown, start stirring, and continue stirring until it turns a deep honey colour. Immediately remove from the heat and stir in the rest of the apple juice. It will still be very hot. Let it cool. I realise that juice pops and frozen bananas are not, strictly, sugar free. 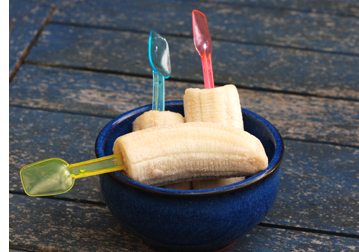 Fruit does have sugar in it (fructose), although not refined. For those for whom fruit sugar is a problem, and for something slightly more adult, you can try making pops from coffee and tea. 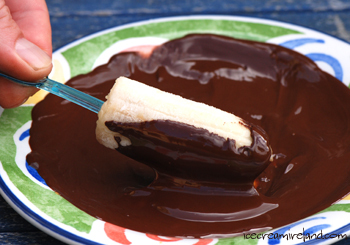 The flavour comes through quite well, and you can use your favourite sweetener if you feel it needs it. Herbal teas can work quite well (the photo above is a rose/licorice tea), but brew them quite strong! 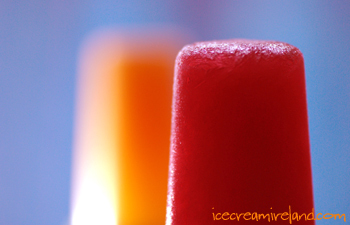 Back to juice pops – I wrote in my previous post that the kids in our family loved them. 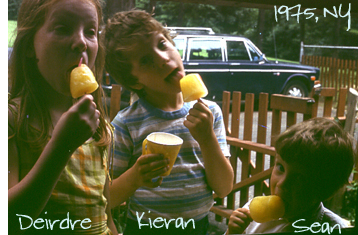 On the right is the proof – a photo showing my brother, sister and I enjoying them on a summer day in upstate NY. Our favourite flavour was grape, but since my mother was usually faced with melted grape pop-stained clothes, she pushed us toward orange! 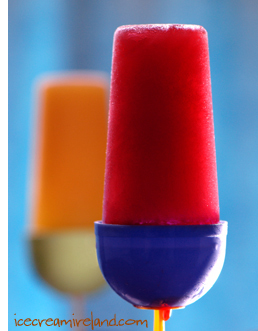 Another quick and easy sugar-free iced option is frozen juice pops (lollies). This one really brings me back to my childhood. I have many memories of hot summer days that involve these treats. My mother was really into natural foods and organics, and although we were never weaned off ice cream, she tried to keep our sugar intake down by making these. We ate them quite happily indeed. What’s really brilliant is that you can choose a juice that you (or your little ones) like and make the frozen equivalent. It’s hard to go wrong with that! I found a form for the pops in my local hardware store, and nothing could be easier in terms of making them. 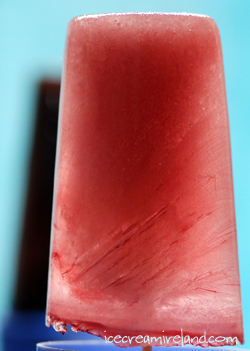 Simply pour the juice into the form, insert the stick, and put it in the freezer. Within a couple of hours, you will have a wonderfully refreshingÂ frozen snack. It’s definitely worth buying the good stuff here or using fresh juice. There are many delicious organic juices that you can find in health food shops. In any case, the taste will reflect the quality of the juice, and clearly if you add a juice mix that has sugar in it, it will not be sugar-free!